How to Start Swedish Death Cleaning and Declutter Your Home Today! 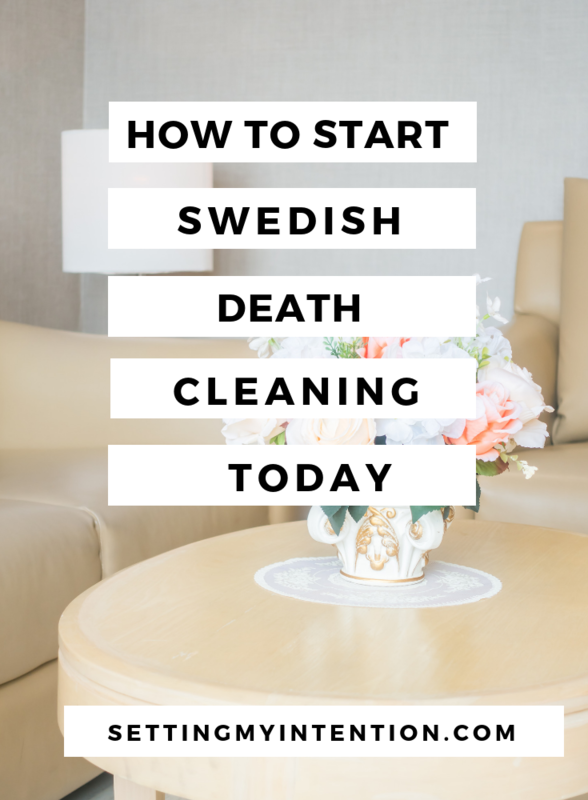 In my last post I explained what Swedish Death Cleaning is. 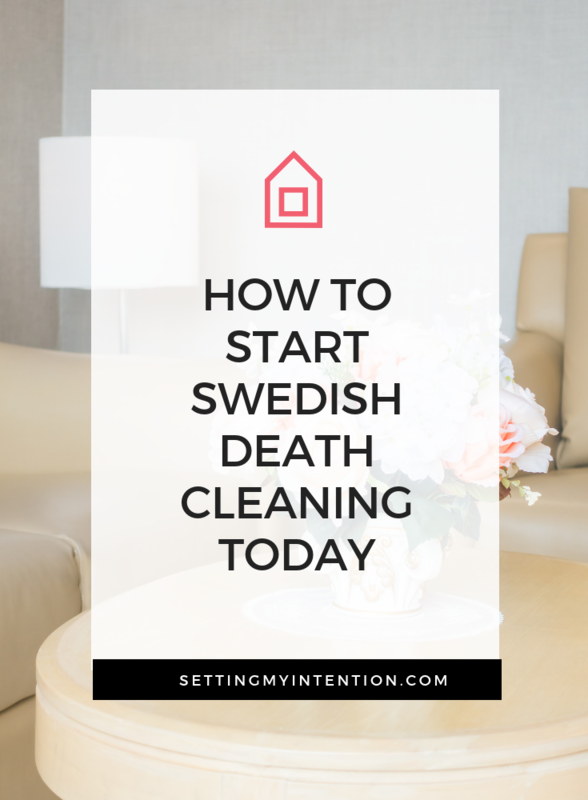 In this post I want to share Magnusson’s practical tips in how to start your own death cleaning. If you just flinched at the term “death cleaning” I encourage you to read the first post – it’s not morbid at all! This post may contain affiliate links. If you choose to purchase through an affiliate link, I may receive a small commission at no additional cost to you. Thank you for your support! Swedish death cleaning is essential decluttering your home. The unique twist is that it is geared towards people over 65 years old who are preparing for their eventual death. Margareta Magnusson, the author of The Gentle Art of Swedish Death Cleaning: How to Free Yourself and Your Family from a Lifetime of Clutter, shares how this is a common practice in Sweden and that it is not sad, but something to embrace. If someone comes to mind, Magnusson would encourage you to give it to them now! Her approach is to share the memories and items with loved ones while you’re still alive. downsizing sentimental items like photos and journals. What is a Throwaway Box? The throwaway box is something Magnusson advises you keep for all of your private items that have meaning to you, but wouldn’t have any meaning to anyone else. Put a large sign that instructs your loved ones to destroy it once you are gone. Magnusson encourages one to destroy things that will hurt loved ones if they discovered them when you are gone. Although Magnusson doesn’t directly say to do this, in my experience, the first step needs to be to make a conscious decision to start. That might sound painfully obvious, but unless we declare to ourselves and the people around us that we are going to start decluttering or death cleaning, it’s only a vague idea. The second step needs to be to decide when, where, or how long we will death clean. If you are overwhelmed with stuff in your home, you need to make a decision on what area, what space, or for what length of time you will death clean. Death cleaning isn’t meant to be done in a weekend. It’s meant to be a slower, reflective process – so there’s no need to rush. There is however, a need to commit to doing it slowly and steadily. Don’t offer things to others that don’t fit their taste or space because it will only be a burden to them. Have you asked your loved ones what they would like to inherit? Do they know the stories and history behind the belongings that you are holding onto? Do you know why you’re holding onto these belongings? Do your items surrounding you give you joy in the present? Share stories, share the physical items, and in the latter part of your life – share experiences versus gathering more physical items. After reading The Gentle Art of Death Cleaning, I was having a conversation with my husband and telling him about the book. Many of you know that our basement is full of stuff. I found myself thinking of the basement while reading the book. What if both of us died and our sons or their caretakers had to deal with all of the items down there? What would be important to them from those items? Most of the items are my husbands things. I asked him what would be important for him to pass on to our sons. His answer surprised me. He said he would want to pass on his Japanese woodworking tools. 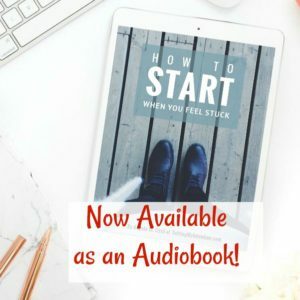 Without reading this book I would have never thought to ask this question and have this conversation. It opened a dialogue and will give my kids insight into what is important to my husband. Did the term “Death Cleaning” add a new perspective on your thoughts about decluttering? Let me know in the comments below! Angela, thanks for reviewing her book. What a great way to think of death de-cluttering!! So many more people would begin the process, if they thought of it this way, I’m sure! Yes! I love the idea behind it. Thanks for reading and commenting! Hi Audrey! No I don’t mind. 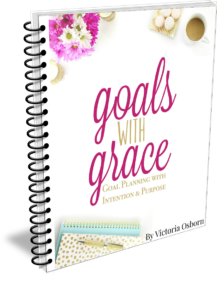 I was inspired to learn more because of my interest in different ways to clear clutter mainly. I do know though that this is a really big issue for a lot of people. I think the post-its are a great idea – as long as they’ve actually had conversations with those people to see if they would really want them! My parents actually downsized significantly over 10 years ago and just donated or threw all of our childhood things away if we didn’t come and claim it. They also got rid of a lot of their own belongings and won’t have much to leave, which I appreciate.